You’ll view serging in a whole new light. 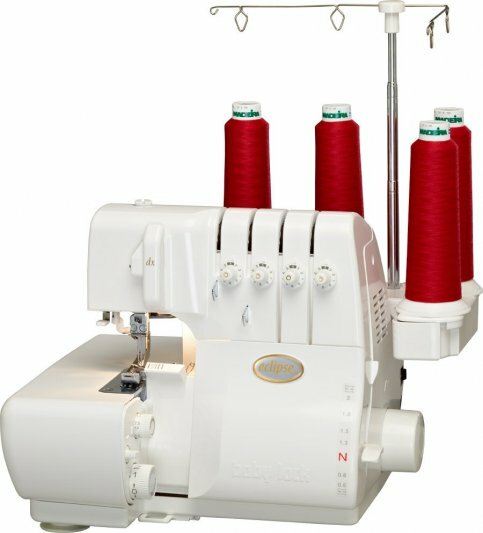 This easy-to-use serger includes Jet-Air Threading, plus adjustable manual tensions that allow for perfect stitches on any type of fabric. Baby Lock’s Jet-Air sergers include a Fabric Support System to keep stitches fl at and balanced, no matter what speed, fabric or stitch you choose. The built-in stitch fingers actually move with the knife blade, adjusting the seam consecutively with the cutting width. Finish projects with quality and versatility – easily switch from 4, 3 or 2 thread rolled hemming options.